But the breathless push for a 3D printer in every home, like the 70s quest for a computer on every desk, may detract from the real industrial revolution in additive manufacturing (AM). What’s the difference between 3D printing and AM? Both 3DP and AM work by building up an object a micro-layer at a time, as opposed to molding, forging or cutting away material to leave a finished product. Both allow intricate, geometrically optimized designs that would be unmakeable using traditional manufacturing methods. Both 3DP and AM reduce costs for mining, processing, shipping and storing raw materials, as well as recycling or disposing of the leftovers. And both will ultimately make customization more affordable in a wide variety of industries. And according to guru Terry Wohlers, President of Wohlers Associates, the terms 3DP and AM are used interchangeably in the industry. However, the term “additive manufacturing” embraces and encircles 3D printing, while opening up new and greater possibilities. A common conception of 3DP is printing out a pretty new iPhone5 case at whim. But 3D printers are actually powerful tools that can lead to so much more. Take for example, 14-year-old Easton LaChappelle, who used 3D printed parts to create a prosthetic hand for his high school science fair. After that first success, he vowed to build a better one for less than $400, and succeeded. Publicity for his quest to create affordable, customized prosthetics spread and he was offered an internship at NASA’s Robonaut team, to create humanoid robots that can be used in space. But 3DP is not limited to one-off prototyping and customization. Plans are now gelling to use AM for standardized industrial products, including aircraft engine components and power generator parts. For example, GE Aviation has announced it will install 19 AM fuel nozzles on every new CFM LEAP engine when it debuts in 2016. With AM, designers can minimize the weight of a part and combine several parts into one, resulting in reduced engine weight and increased durability, while saving significant amounts of fuel. Some components of unmanned aerial craft are already built with AM, because these low-volume, high-complexity systems don’t have to meet passenger safety regulations. In order to build industrial parts, additive techniques (3D printing) must be combined with traditional “subtractive” processes—drilling, milling and grinding. After AM, components must go through finishing, inspection and testing steps, to create safe, reliable factory-made parts that can meet industry regulations within a business case that makes sense. Supporting such large-scale industrial applications for AM will require a new ecosystem of supply chains, standards and regulations, machine tools and jigs, operator education, materials research, measurement and verification systems, software and designers. All of these stakeholders in the AM ecosystem now have a central hub where they can turn for networking, technical support and education: America Makes, the new name for the National Additive Manufacturing Innovation Institute (NAMII), based in Youngstown, Ohio. Membership in America Makes is not limited to universities and large corporations—quite the opposite. At the kickoff meeting announcing its new name and branding, the organization featured Bre Pettis, CEO of MakerBot, a leader in desktop 3D printers. What’s the connection? With its re-branding, America Makes seeks to unify the additive manufacturing and desktop 3D printing communities, while challenging traditional concepts of manufacturing and increasing American competitiveness. Easton LaChappelle is a great example of the continuity and connectivity between 3DP and AM. He began as a “hobbyist” using parts made with a friend’s 3D printer. Delving deeper as an entrepreneur, he used two 3D printers in his room at home to create a superior product more cheaply than the going rate. Then, joining with NASA, he became a scientist, researching ways to take AM concepts to Mars and beyond. Recognizing the creativity and capacity of a multitude of Easton LaChappelles, NCDMM decided to broaden its voice to reach hobbyists and solopreneurs along with its original focus on industry, academia and government. The group’s over-riding mission, according to Ralph Resnick, NCDMM President and Executive Director, is to reinvigorate the U.S. manufacturing industry and jobs market. America Makes looks to “embrace innovation from whatever its source as we collectively strive to accelerate the true realization of additive manufacturing through 3D printing,” Resnick says. 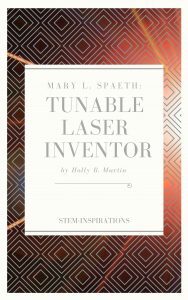 Holly Martin writes about science and technology for business and non-profit clients in advanced materials, biotech, energy, manufacturing, nanotech, and R&D. Please contact me for help writing technical articles and blog posts for your organization. Thank you!